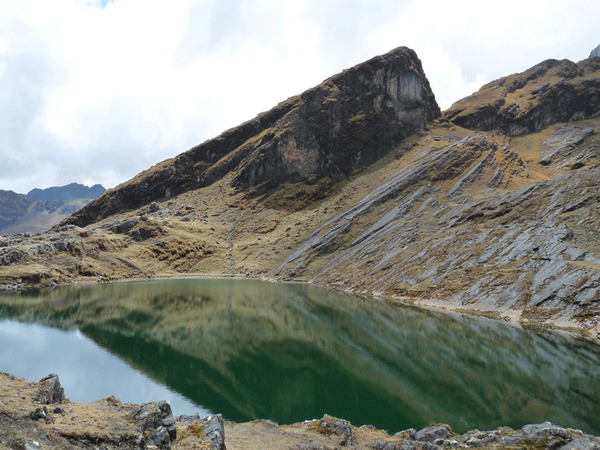 The Choro is a 4-day trek beginning in the Cordillera of the Andes, at a pass located about 4700 meters above sea level and descending into the warm valleys of the Yungas. 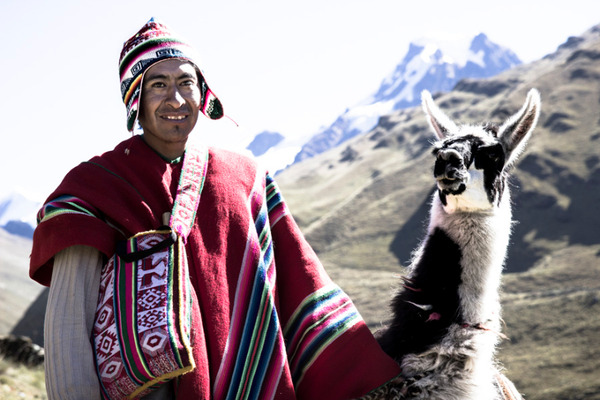 The trail we follow is the same one the Incas used during their reign. 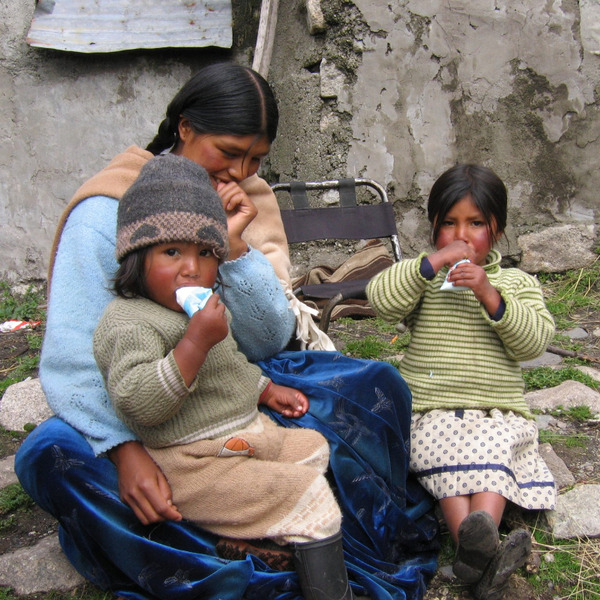 Along the path, we discover numerous pre-Columbian ruins and on a few occasions walk on ancient paved Inca trails. 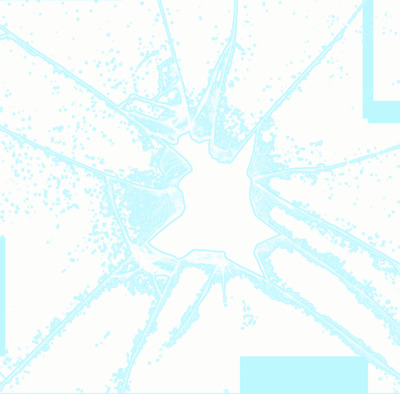 This archaeological wealth has been barely developed, and gives the hiker a real sensation of privilege. 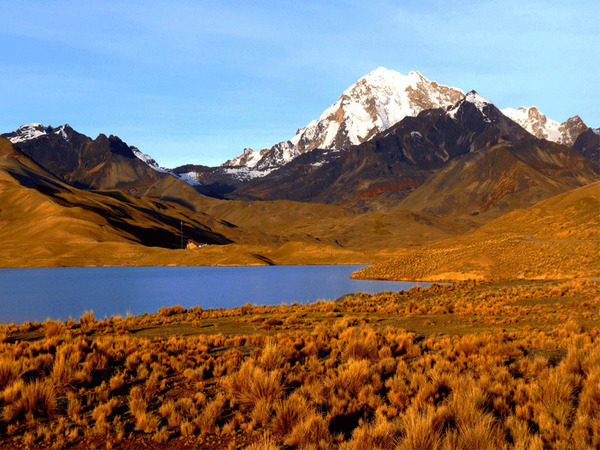 The Choro Trek is ideal for a pleasant discovery of the history, as well as the landscapes of Bolivia. 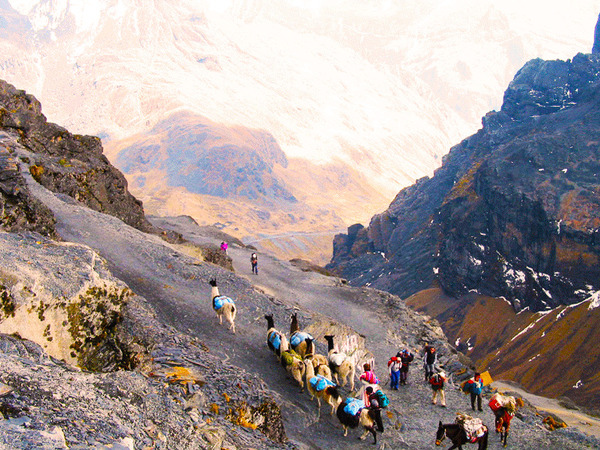 Progressively, we pass from the rocky, mountainous world of the Andes to the tropical vegetation of the Yungas..
Transport La Paz - Cumbre. 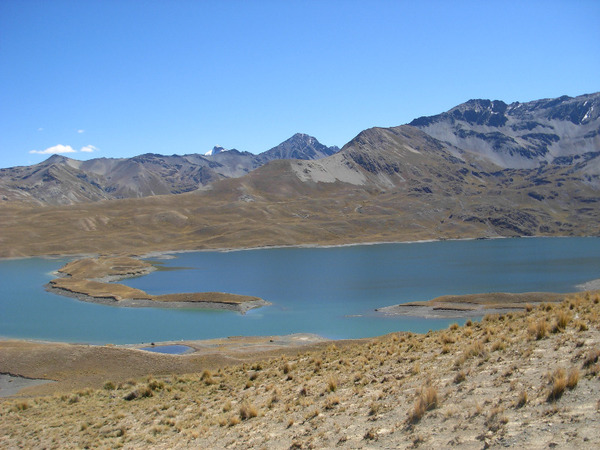 La Cumbre (el.4700 m.a.s.l. 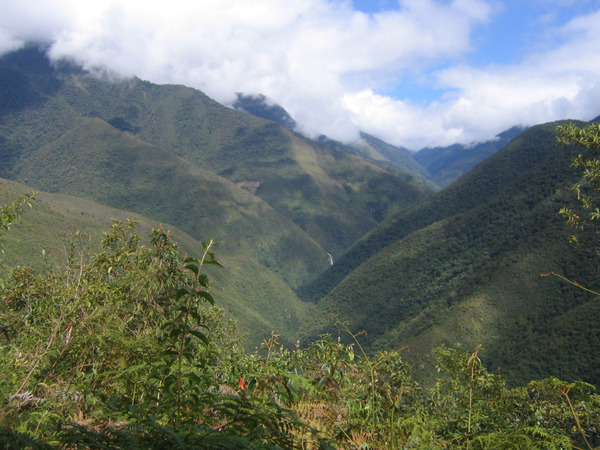 ), is the starting point of the famous “Death Road” leading to the Yungas and of our trek as well. We will meet with our team of muleteers and head to Apacheta Chukura (el. 4870 m.a.s.l.). 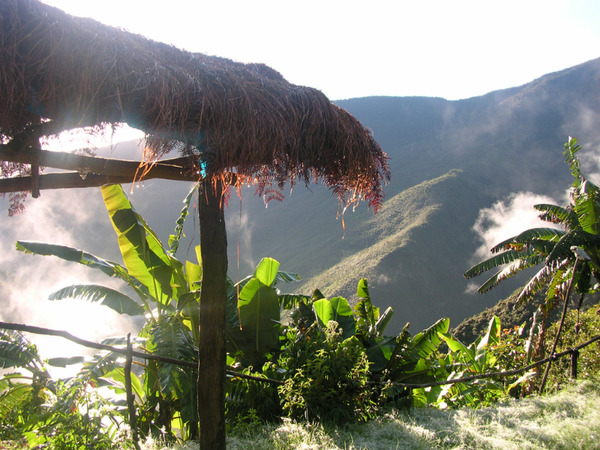 The trek starts by a long descent into the valleys of the Cordillera Real. 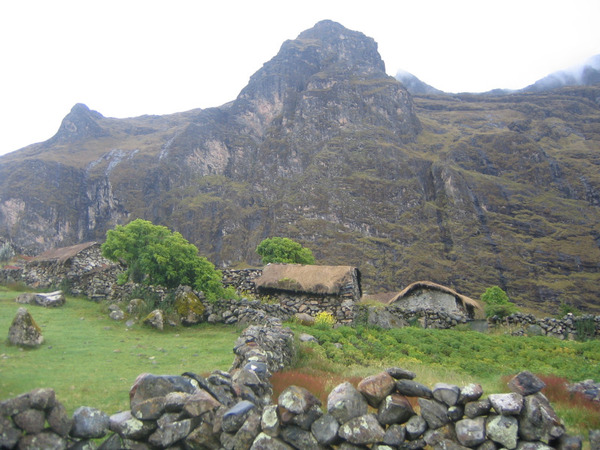 We will cross the villages of Samaña Pampa and Chukura while walking on an incredibly well-preserve paved Inca trail. After hiking about 6 hours we will reach the village of Challapampa. Cold lunch. All included. Bivouac. 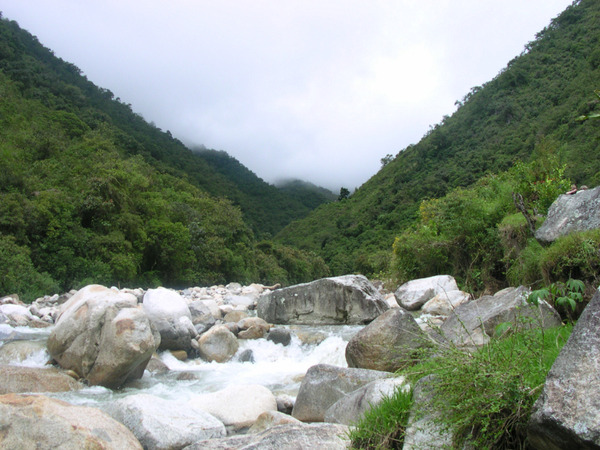 We will continue the descent leaving the Andean countryside behind us, the vegetation becoming subtropical. 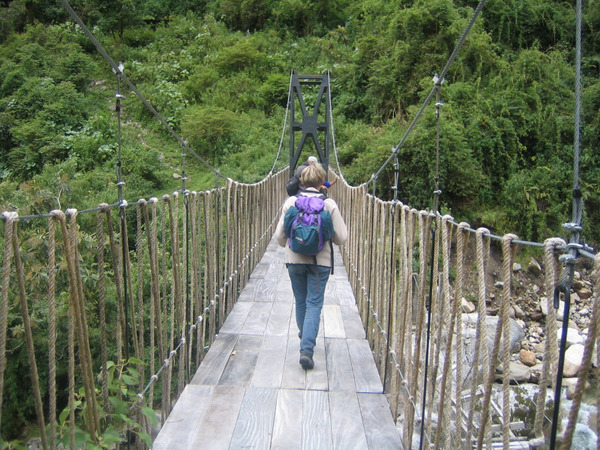 We will arrive in the village of Choro. The track will then be uphill and dowhill all the way until our camp at San Francisco (5 to 6 hours). We will cross the Coscapa River in the morning before staring the climb to the “Devil’s Hill” up to the village of Sandillani where we will arrive early in the afternoon (el. 2000 m.a.s.l.). After a few more hours we will finish the trek in Chairo (el. 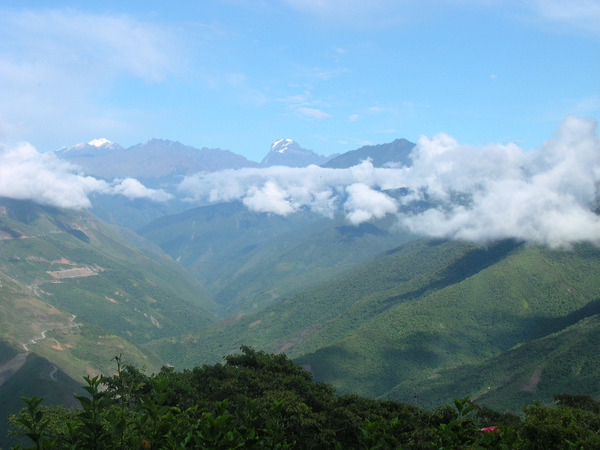 1300 m.a.s.l) from where a 4WD will take us to Coroico, the pearl of the Yungas, for a well-deserved rest. Cold lunch. Dinner not included. Night at the Viejo Molino hotel****. The Viejo Molino Hotel is located a 1km from Coroico on Santa Barbara road. The Hotel is surrounded by the nature and very quiet. This is one of the best hotels in Coroico, because of its service and quality.